LONG BEACH — California officials announced today at the 2018 ACT Expo in Long Beach that to date the state had pumped more than $1.2 billion into projects that put a growing number of zero-emission and low-carbon buses, trucks and cars onto California’s roads and highways. Fully 48 percent of these investments benefit low-income and disadvantaged neighborhoods – those most in need of improvements in air quality. Standing before an eLion electric school bus, the officials also highlighted a new project to deliver dozens of these ultra-clean school buses to rural school districts to ensure that the children and drivers in districts away from California’s urban centers also benefit from the state’s transition to low-carbon transportation. California’s rural and small school districts have some of the oldest, dirtiest-running school buses in the state. 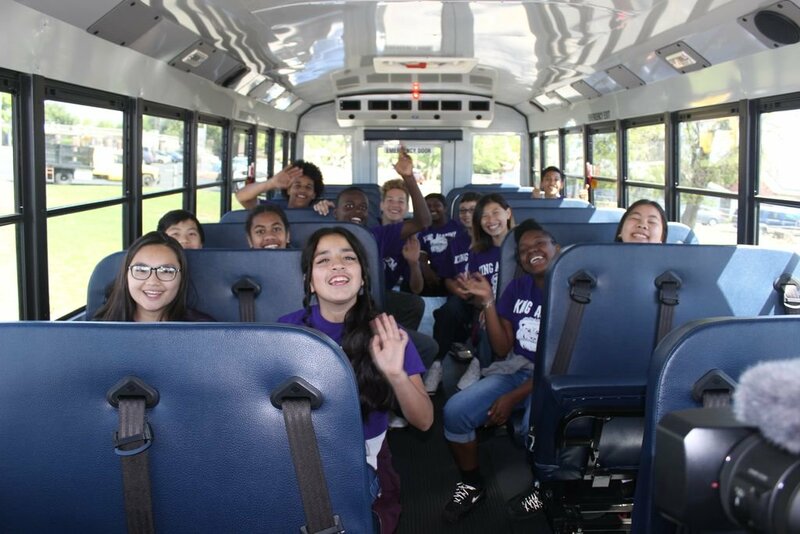 The Rural School Bus Pilot Project, administered by the North Coast Unified Air Quality Management District, is helping to change that. 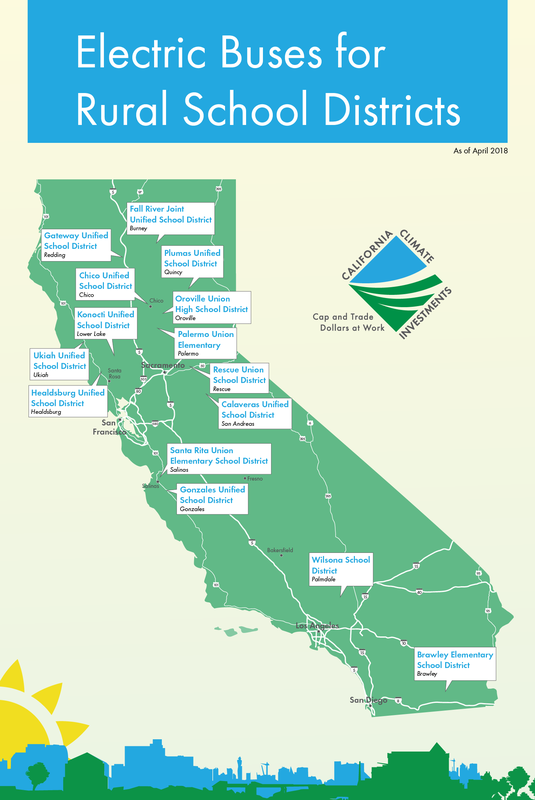 In total, California Climate Investments will fund about 150 cleaner school buses across the state. These include zero-emission battery electric models and conventional models using renewable diesel. The year-old Rural School Bus Pilot Project, which has received $25 million in cap-and-trade funding, will fund as many as 60 of those new school buses statewide in rural areas of the state, reducing 10,000 metric tons of greenhouse gas emissions. About 40 of those school buses in rural areas will be zero-emission battery electric. Funding for these clean transportation projects comes from California Climate Investments, a statewide program that puts billions of cap-and-trade dollars to work reducing greenhouse gas emissions, strengthening the economy and improving public health and the environment — particularly in disadvantaged communities. Ultra-clean school buses in rural districts represent just one of many projects rolling out across California that are helping the state transition to a clean transportation future. 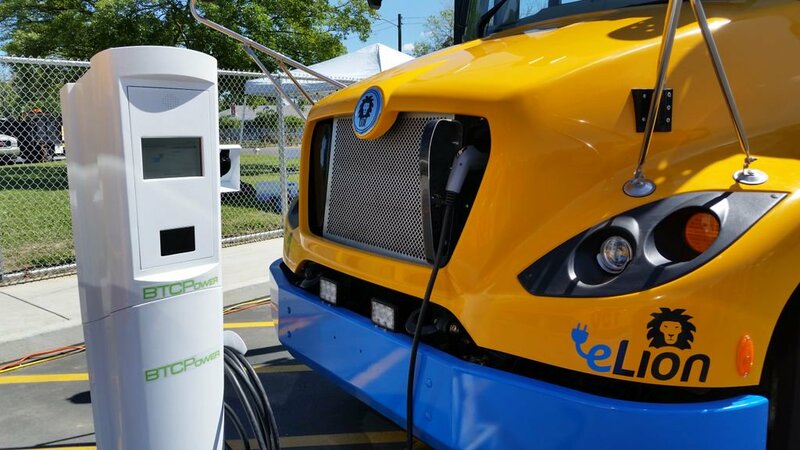 The investments support a wide range of next-generation vehicles, including electric school buses in Sacramento, electric yard trucks in Fontana, hydrogen-powered buses in the Coachella Valley, and a fleet of electric delivery trucks for Goodwill Industries in the Bay Area. About half of the investments are for projects or vehicles that are in, or benefit, disadvantaged communities. The goal is to accelerate the market for the next generation of clean, heavy-duty trucks and buses, both those that run on electricity and on hydrogen. California Climate Investments are designed to help drive down the upfront purchase price of the cleaner vehicles, and as their numbers increase, that cost will drop even further due to economies of scale. The state is also investing to support the market for zero-emission cars including making them available to residents of low-income communities. The cap-and-trade program also creates a financial incentive for industries to invest in clean technologies and develop innovative ways to reduce pollution. California Climate Investments projects include affordable housing, renewable energy, public transportation, zero-emission vehicles, environmental restoration, more sustainable agriculture, recycling and much more. At least 35 percent of these investments are made in disadvantaged and low-income communities. California Climate Investments support projects throughout the state, benefiting communities, individuals and businesses. See profiles for 2018 and 2017.